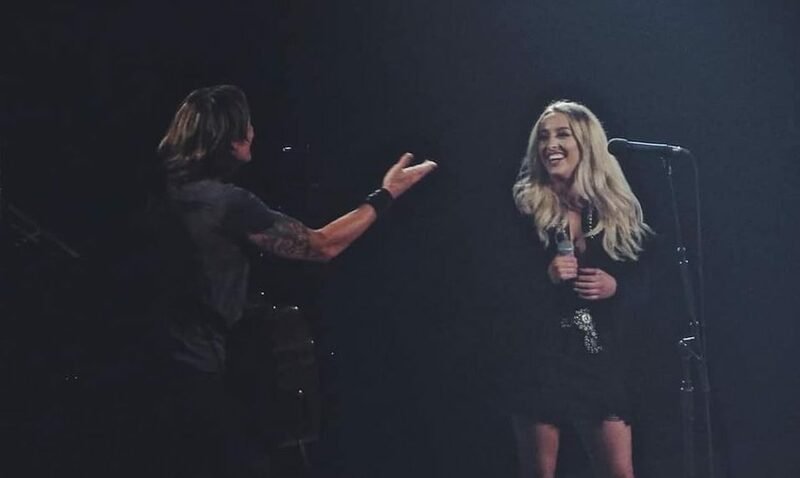 Over eight months ago, current music business major Ashley Ryan was called up on stage by Keith Urban to unveil his Nashville tour date. After learning that Ryan attends Belmont, Urban asked her to sing a song with him. Since then, Ryan has been waiting to do it all again, but this time on a much bigger stage in Nashville, Bridgestone Arena. In January, Ryan and Urban sang his song “Without You” together on stage at a free preview event announcing his tour. After their duet, Urban asked Ryan if she would join him onstage to sing the song again at the Nashville show of his “Graffiti U” world tour. Excited about the chance to fulfill her dream of performing live in Nashville, Ryan agreed. On August 24, Ryan joined Urban on stage to do a reprise of his song, “Without You.” Ryan spent the last months preparing for her moment by “non-stop listening to the song” and singing along to make sure she sang it just right. Ryan was one of many special guests that night, including Carrie Underwood, Nicole Kidman and Reese Witherspoon, among others. Belmont 2016 commercial music alumna Kassi Ashton also made an appearance to sing “Drop Top,” a song she recorded with Urban. Ashton signed a record deal last year with UMG Nashville and Interscope Records.